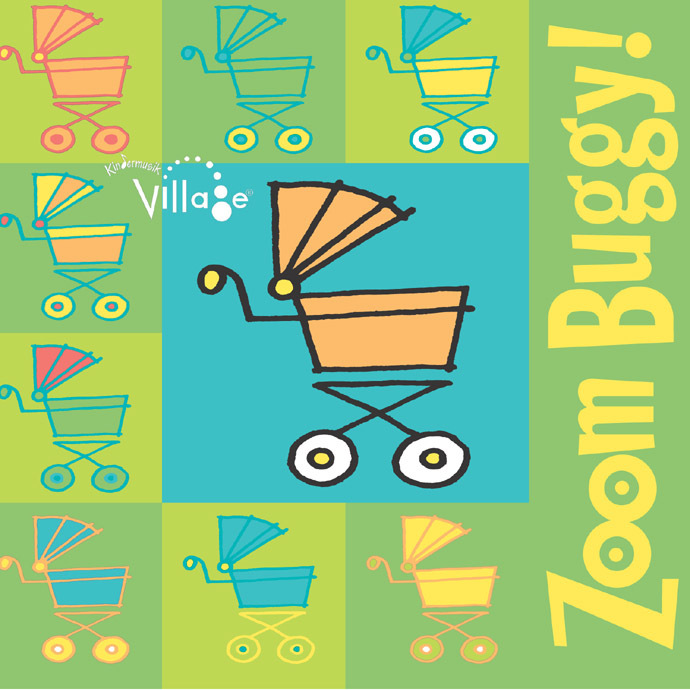 Zoom Buggy! Swoosh, vroom, and clickety-clack your way through this delightful unit. Babies and adults will dance, sing, and play instruments to the theme of being on the go. Chug around the room to the song “Little Red Caboose,” hold on tightly while “Riding in the Buggy,” and dance your way to “Zoom-e-oh!” Engage in rituals and playful activities such as infant massage, lap bounces, exercise, and quiet time. Set of shape shakers for music-making at home.